Discussion in 'Pokémon Games Discussion' started by Linkachu, Jun 13, 2010. Ever since seeing Isshu's map I've been pondering this one. Do you think, considering the way the region is set-up, we could have a very non-linear game this time 'round? By this I mean even less linear than GSC were with Pryce and Chuck/Jasmine. When I look at that map I really can't determine which direction we'll be going first, much more than with any other region in the past. That said, it could just end up being like Sinnoh where it appears the region could be non-linear yet roadblock after roadblocks keeps you on a set path. I could see us being made to return to that big city over and over again as the plot progressed. From there we'd then head out into the next section of the region. Back to the non-linear concept, though... I'd love it to have a very non-linear game, but it'd need to be done right. As crazy as it sounds, something I'd love to see the Pokemon series utilize is a leveling system based on how we played. Instead of the trainers and gym leader(s) in certain areas having set-levels, the games could take your progression into account and adjust the leveling depending on it (ie. if you beat one Gym Leader first, the next would always be higher leveled regardless of their placement in the region). That way you could take any route you wanted - to a degree - with the reassurance that you wouldn't need to plow through lower-leveled trainers afterwards (like in GSC). Just a silly idea of mine. Don't read into it too much. Either way, what to do you guys think re: linear vs non-linear gameplay in Black and White? Would you want it or not? Etc. etc. Not that I find linear bad or anything, but one of the joys I had of battling in HGSS in Kanto was fighting the gym leaders out of order. In fact, I'm pretty sure I left Lt. Surge's gym until before I fought Blue--and it was still a challenge to my three Pokemon crew. And even a set up like you suggested wouldn't alter the storyline to badly. For example, the Team Rocket takes over the Radio Tower event was triggered after your Mahogany Town gym battle. Black and White's event can simply be triggered after your sixth badge for example. Point being, it wouldn't be too hard to build a storyline around it. Being able to go anywhere without being roadblocked would do wonders for being able to get the pokemon you want to train early on in the game, another pet peeve of mine. That would be nice. Looking at the bridges, if one of them were out or up or what not, you could go a different way. Other than what people have already said, it would bring some replay value to it. One time, you go do stuff on one side first, the other time, you do the other side first. OROROR Black would have you start on one side, White on the other. It would make it more interesting, like you could have two different story lines going on and once you do both sides they'll converge. And you could have the area level up with you sorta like Elder Scrolls kinda. I think this would be great. This would also make it more anime-like in my opinion. In Kanto, Ash did the gyms out of order to a degree. It seems to kind of do this in the anime excluding that. When he goes to a new region, all of a sudden Pikachu is way weaker and all. That could be the level adjustments you were referring to. Even though he got to the league in the previous region, he has a hard time with the weak first gym leader. Just a connection I saw. Anyways, I love this idea and think it would be clever for them to implicate it into Black and White. I am in a favorable opinion of non-linear gameplay, as it diversifies the experience and allows ones to take out types they are not good with at lower levels. 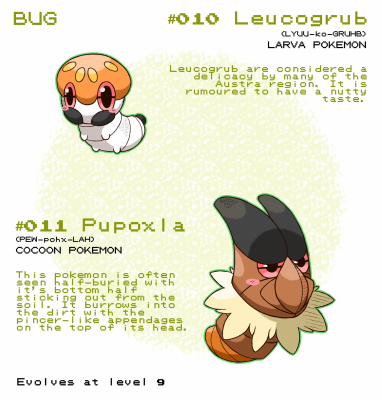 Instead of the trainers and gym leader(s) in certain areas having set-levels, the games could take your progression into account and adjust the leveling depending on it (ie. if you beat one Gym Leader first, the next would always be higher leveled regardless of their placement in the region). That way you could take any route you wanted - to a degree - with the reassurance that you wouldn't need to plow through lower-leveled trainers afterwards (like in GSC). I love the idea of a non-linear gameplay. I also like the idea of the game making other trainers be at a level that is suitable for the player. Back to the non-linear gamplay... I have no idea where the paths will lead and where the player will go. I guess we'll have to let the chips fall where they may and see the outcome, which will probably be quite interesting! I wouldn't consider it in the least bit likely. JRPGs typically do not offer players non-linear progression in favour of total control over story direction and story telling. 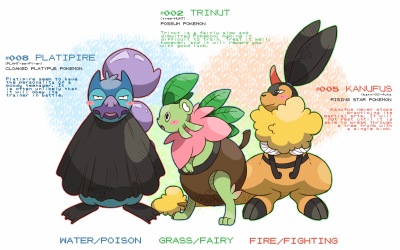 They are normally good at what Pokemon does, though, and allow you to select your own 'team' and 'skills' to play through it in your own style - but what you play through itself is set in stone. Short of selling the franchise to Bioware, I don't see that mentality changing within one of the genre's most staunchly cliché-fulfilling titles. In other words, them bridges wont open until you do what the game tells you to. If anything, it'll make Isshu even more linear than Sinnoh, Kanto or Johto, all of which at least allow you to tackle one gym out of order. Either way, numerous jRPGs certainly do offer some sort of non-linear game play, albeit not to extremes - but it's there. It's actually more noticeable if one doesn't have some sort of non-linearity to it. In big-name series like the Tales Of franchise there have been whole areas you can do different depending on which path you take. Chrono Trigger/FF6/etc. certainly have lots of non-linear play once reaching a certain point. G/S/C itself also offered quite a bit of non-linear game play (moreso within Kanto than Johto), and the Lunar series (at least the remakes on PSX) had a boss leveling system that would match-up against your own characters' levels. That's actually where most of my idea above originated from. They might not be as crazy non-linear as Bioware, but most of 'em aren't completely set in stone outside of their plots. I don't think it'd be out-there at all thinking that B/W could utilize non-linear gameplay a bit more than D/P did either, although I doubt they'd do anything special with the leveling. Considering that the plot changes based on your actions, it seems very possible... Even though I always like to know where I am going, It's a good idea and it is very likely this time 'round.